St. Patrick’s Day is not a holiday that one typically associates with desserts. But here at DessertBuzz things are a little different. Think of us as an alternate, “Bizzarro” world for NYC holiday celebrations. Sure, you can find green bagels pretty easily but what about green macarons? Ok–so that’s easy too. 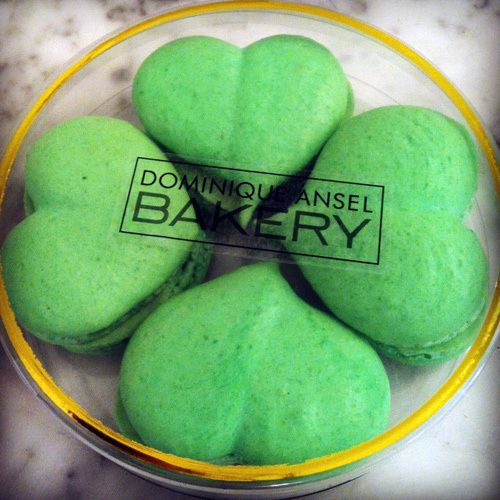 What about clover shaped, SHAMROCK macarons? How about green tea-ramisu? Read on if you like your desserts as green as your beer on St Patty’s Day. 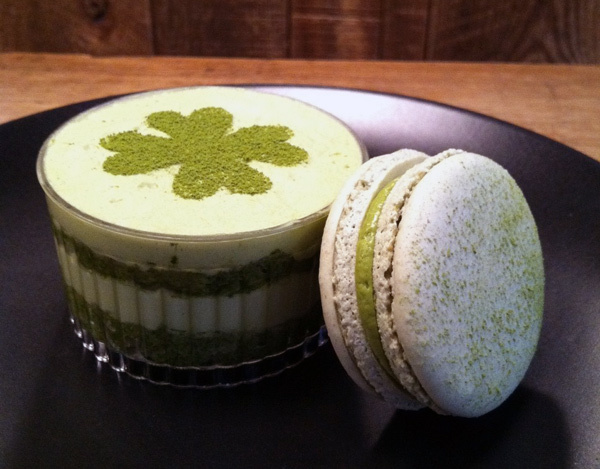 Spot Dessert Bar is offering a St. Patrick’s Day Green Tea-ramisu & Green Tea Macaroon pairing for $7. This offer is on now and good through March 18th. Check out some of the other items on Spot’s Dessert Bar’s menu on the link below. 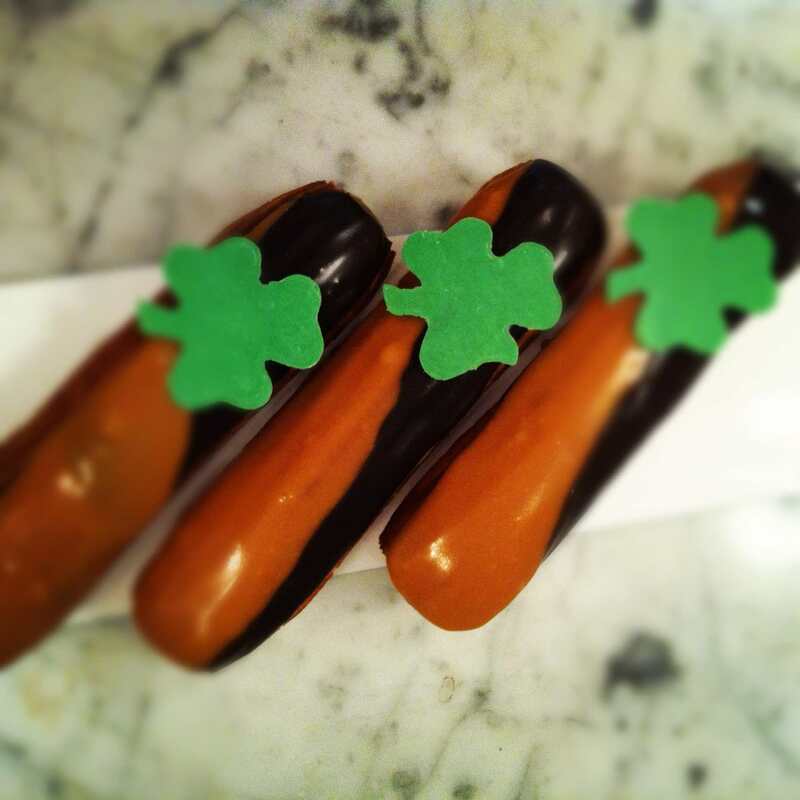 Dominique Ansel Bakery is offering Shamrock macarons filled with Irish whiskey and dark chocolate ganache ($12.00 for a set of 4) and Black & Tan Eclairs made with Guiness and Bass Pale Ale Cream. More on DAB’s other pastries including their eclairs can be found here. Spot is located at 13 St Mark’s Place. Spot’s website has their full menu. 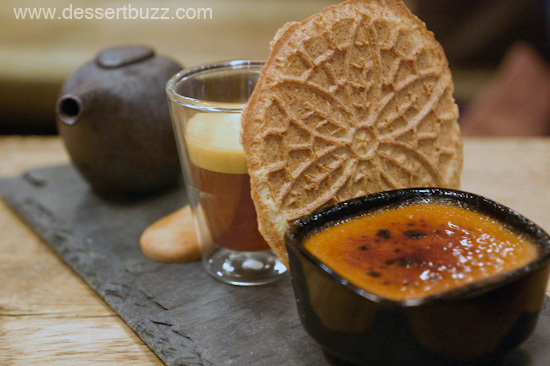 Follow DessertBuzz on Twitter to keep up-to-date on all of NYC’s dessert news.